1 and 2 Thessalonians is another release in the Zondervan Exegetical Commentary on the New Testament series--the only commentary series with a graphical display, theology in application section and identification of the main idea for each section. The series consistently provides a main point, exegetical outline, verse-by-verse commentary, and theology in application in each section of every commentary. Critical scholarship informs each step but does not dominate the commentary, allowing readers to concentrate on the biblical author's message as it unfolds. While primarily designed for those with a basic knowledge of biblical Greek, all who strive to understand and teach the New Testament will find these books beneficial. 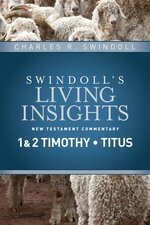 The most accessible, most broadly pitched full-length commentary on Timothy and Titus, this NICNT volume explores Paul's three letters to Timothy and Titus within their historical, religious, and cultural settings. 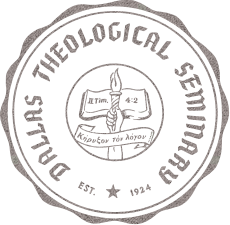 In his introduction, Towner sets out the rationale for his historical approach, questions certain assumptions of recent critical scholarship, and establishes the uniqueness and individuality of each letter. Significantly, Towner's work displays unprecedented interaction with four recent major commentaries on these Pauline letters. Centered on an outstanding translation of the Greek text and including thorough footnotes, bibliographical citations, and indexes, Towner's commentary on Timothy and Titus is sure to become a standard reference for busy pastors, students, and scholars. There are substantial reasons to be energized about studying the Pastoral Letters of Paul. Between them they teach the proper ordering of the church (1 Timothy), they present a developed challenge to all Christians (2 Timothy), and they suggest God's priorities for mature ministry (Titus). Experienced pastors R. Kent Hughes and Bryan Chapell have done their homework--applying sound principles in interpreting the texts so that we can understand what Paul was really saying. This volume of the NIV Application Commentary Series, helps readers learn how the message of 1 and 2 Timothy and Titus can have the same powerful impact today that they did when they were first written. In his latest addition to the esteemed Anchor Bible Commentaries, scholar Gary Knoppers examines one of the most neglected books of the Old Testament and established its importance as a key to understanding the nation of Israel. Who were the Israelites? Was Israel's first king, Saul, a hero or a disaster? Was David a gifted and accomplished leader or a murderer and a cheat? Did Solomon preside over the most glorious epoch in Israelite history or did he lead the nation into a fateful decline? 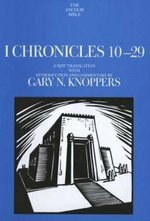 In I Chronicles, the distinguished scholar Gary Knoppers addresses these questions through a thoughtful and exacting reading of one of the last books of the Hebrew Bible. He shows that Chronicles, which contains a variety of viewpoints on the major events and people, provides a distinct perspective on much of Israel's past, especially the monarchy. He discusses how the chronicler's introduction to the people of Israel redefines Israel itself; explains and defends the transition from Saul to David; and shows how the Davidic-Solomonic monarchy was not only a time of incomparable achievement and glory, but also the period during which the nations most important public institutions -the Davidic dynasty, the Jerusalem Temple, the priests, and the Levites--took formative shape. I Chronicles, part of a two-volume set, is the first to employ systematically the Dead Sea Scrolls to reconstruct the biblical author's text. Knoppers reveals how Chronicles is related to and creatively drawn from many earlier biblical books, and presents a fascinating look at its connections, in both compositional style and approach, to the historical writings of ancient Mesopotamia and classical Greece. Featuring a new translation and an extensive introduction that incorporates up-to-date research, this volume replaces the Anchor Bible I Chronicles commentary written by Jacob Myers in 1965. In this latest addition to the esteemed Anchor Bible series, scholar Gary Knoppers examines one of the most neglected books of the Hebrew Bible and establishes its importance to understanding the nation of Israel. What was the place of the monarchy in the history of ancient Israel? Was Israel's first king Saul a hero or a disaster? Was David a highly gifted leader and accomplished king or a murderer and a cheat? Did Solomon preside over the most glorious epoch in Israelite history or did he lead the nation into a fateful decline? Knoppers show how the Bible itself contains a variety of fascinating perspectives on major events and characters. One of the most misunderstood books of the Bible, Chronicles presents a distinctive and important viewpoint on much of Israel's past, especially the monarchy. 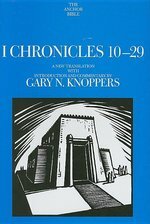 Knoppers shows how Chronicles defends the transition from Saul to David and upholds the Davidic-Solomonic monarchy as a time of incomparable Israelite achievement and glory, a period in which the nation's most important public institutions--the Davidic dynasty, the Jerusalem Temple, the priests, and the Levites--took formative shape. I Chronicles 10-29, part of a two-volume set on I Chronicles, is the first to employ systematically the witness of the Dead Sea Scrolls to reconstruct the biblical author's text. Knoppers shows how Chronicles is related to and creatively drawn from many earlier biblical books and presents a fascinating look at its connections in both compositional style and approach to historical writings attested in ancient Mesopotamia and classical Greece. The books of 1 and 2 Chronicles address a divine word of healing to a nation that needed to regain its footing in God's promises and to reshape its life before God. The Old Testament book of Chronicles presents unique problems to students of the Bible. Here Dr. Roddy Braun takes a fresh look at the biblical text and sheds light upon its meaning for God's people in both Old Testament times and today. Taking careful note of Chronicles' dependency upon earlier Old Testament writings, he leads the serious Bible student through such issues as: The relation of 1 Chronicles to parallel passages in Samuel and Kings What "the Chronicler" intended to convey with his own independent contributions to Israel's history and theology The role of Solomon's temple as a uniting force for the Chronicler, who faced the reality of the division between Israel in the north and Judah in the south The book's emphasis upon God's covenant with David as reaching its goal in the construction of the temple. Dr. Braun investigates thoroughly the effect of God's covenant with David in this important part of Scripture. Did the tragic division of the kingdom following Solomon's death mean God had forsaken the covenant? Were the northern tribes too a part of that "all Israel" that was being summoned to return to faithful observance of the priestly services at Solomon's temple in Jerusalem? What was the meaning of such a summons at the time of the Exile, when both Israel and Judah lay in ruins? Such questions are explored with an expert's eye to history and background, theology, and textual considerations. The author-with his remarkable combination of scholarly insights and pastoral experience-also notes the themes of unity, joy, and generosity in worship emphasized by the Chronicler. He was apparently anxious not simply to reunite the kingdom, but also to restore spiritual depth and enthusiastic support to worship-issues that continue to be vital to the people of God today.